Terry RILEY A Rainbow In Curved Air (50th Anniversary Edition) vinyl at Juno Records. 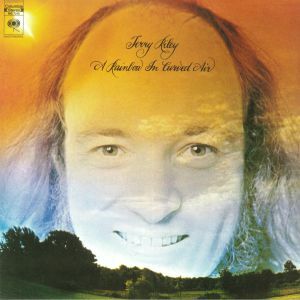 Originally released way back in 1969, Terry Riley's "A Rainbow In Curved Air" album remains one of the minimal maestro's most significant works. 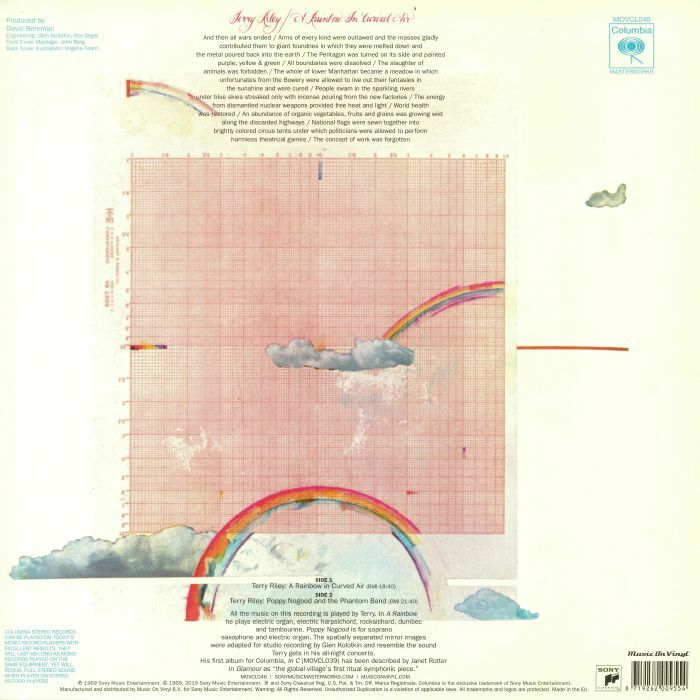 Crafted using overdubbing techniques, the three-movement title track features Riley playing layer upon layer of electric organ and electric Harpsichord motifs to create a hypnotic, Indian style raga. It was hugely influential at the time - inside and outside of the emerging minimalism scene - and later influenced the ambient and ambient house movements. Here it gets the audiophile reissue treatment, with the title track once again being joined by original flipside "Poppy Nogood & The Phantom Band" - a trippy wig-out in which Riley pays tribute to soprano saxophonist John Coltrane over more hypnotic, fast-past organ refrains.